Miedema Auctioneering was founded and our first live auction held in 1984. Then, in 1987, Miedema Auctioneering, Inc. was incorporated by founders Sid Miedema Sr., Sid Miedema Jr. and Scott Miedema. Over the past 30 years, we’ve worked diligently to earn a reputation for honesty and integrity in the auction industry, and have become know for conducting highly successful auction sales and accurate appraisals. Our team incorporates the latest technological advances into our auction services to ensure that our clients always have the best possible results for their auctioneering needs. In 2000, we expanded our operations to include internet auctions to go along with the live auctions that we’ve successfully managed at the auction locations. With the emergence of online auctions, we are able to offer a wide variety of new auction services to clients like you. As our capabilities grew, Miedema Auctioneering, Inc. began to expand into other areas of live and online auctions. It soon became evident that we could provide value to clients by developing specialized companies to help meet the needs of our auction clients. Started in 2000, Repocast.com, Inc. is our recovery and sales division. We market commercial, business, and personal property assets of all types for banks, credit unions, trustees, businesses, and individuals. We have many auctions every week typically selling over 3000 items and attracting thousands of bidders. Started in 2012, SSL Corporation is our federally licensed firearms dealership that specializes in selling all types of firearms and accessories – primarily through our weekly online auctions. Our two independent locations are within our Repocast.com, Inc. facilities and sell to eligible buyers across the United States.  Started in 2002, Orbitbid.com, Inc. brings the internet auction to your facility and sells all the assets from your location, providing an efficient and effortless auction with all the benefits of a large bidding audience. We have the latest in internet bidding technology, and a huge following of online bidders. Started in 2008, LASTBIDrealeastate.com, Inc. specialized in selling real estate via online bidding. We market several hundred real estate properties each year for banks, government agencies, corporations, with our unique and highly successful online auction bidding platform. Started in 2012, Rangerbid.com is our online auction company that allows businesses to sell their item(s) to end users, as well as to other businesses, with ease right from the seller’s location. 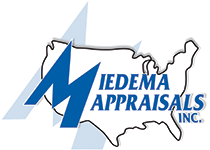 Started in 1984, Miedema Appraisals, Inc. specializes in providing accurate, confidential, and professional appraisals for most types of personal property assets.